At the start of every New Year, there is always that aura of reassessment, change, improvement, blah, blah, blah. I don't usually buy into it - you can start fresh anytime, doesn't have to be at the start of January. But this year, it's sticking with me a bit. Maybe that's why for the last few weeks I've been mulling around the idea of doing my first ever Blog Reader Survey. 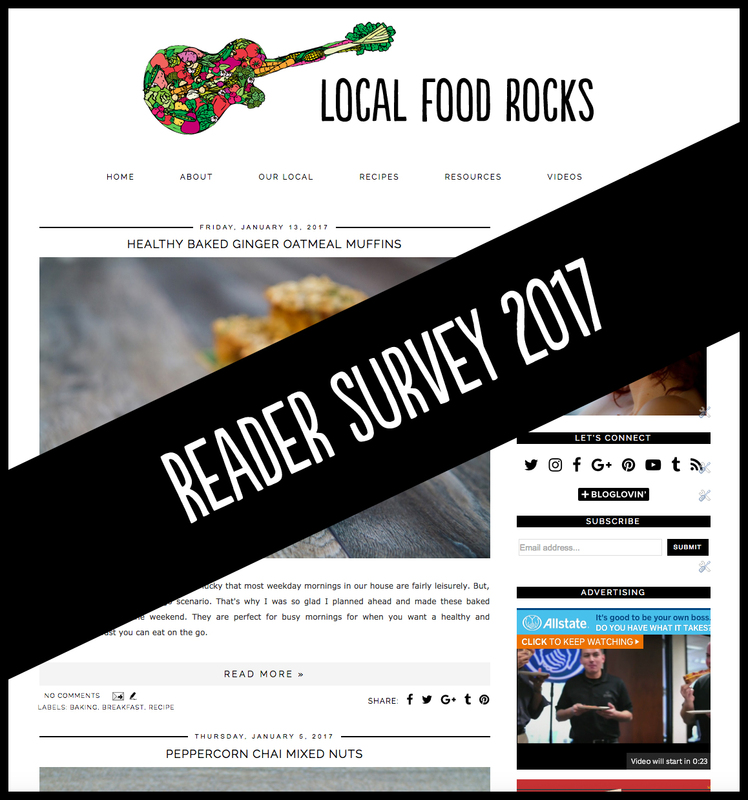 I love blogging here on Local Food Rocks and I certainly hope you stick around because you like it too. The thing is, I don't know much about you or what you like best. So, may I ask you a question? (Ok, actually 10 to be exact.) It's totally anonymous. I really appreciate it! I'll put the results to good use to make this little blog of mine even better. Thank you!